The Coral Sea is considered one of the most distinctive and undisturbed natural systems in the world. It is home to the Great Barrier Reef Marine Park which was made a Particularly Sensitive Sea Area (PSSA) for shipping by the International Maritime Organization in 1990. In order to protect this vulnerable region the Australian Maritime Safety Authority has taken a proposal to the International Maritime Organization to extend the existing PSSA into the Coral Sea. The new area will cover approximately 564,000 square kilometers of the Coral Sea and includes a number of shipping hazards not covered by the current arrangements. The extension provides a means of protecting the unique physical, ecological and heritage values of the Coral Sea while having a minimal impact on international shipping. 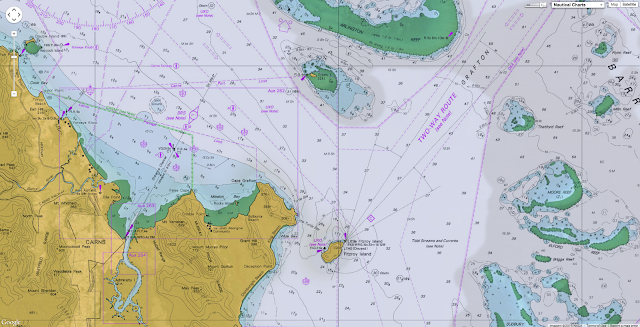 The Great Barrier Reef and Torres Strait Vessel Traffic Service (REEFVTS) is a joint operation between AMSA and Maritime Safety Queensland. The system monitors and manages the thousands of ships travelling through the area each year. 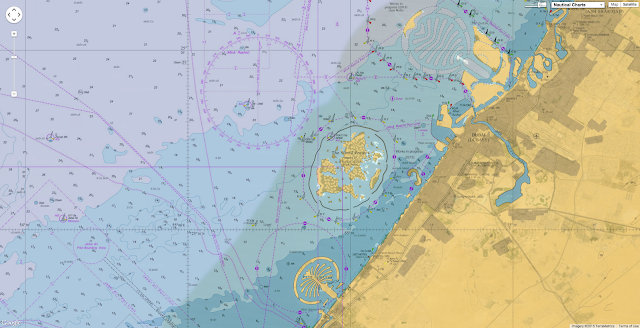 The system is designed to prevent vessels running aground and damaging the world heritage area. With warming seas creating new opportunities at the top of the world, nations are scrambling over the Arctic — its territorial waters, transit routes and especially its natural resources — in a rivalry some already call a new Cold War. The warming climate has transformed a region once largely bound by ice, now sought after for territory, transit routes and natural resources. When President Obama travels to Alaska on Monday, becoming the first president to venture above the Arctic Circle while in office, he hopes to focus attention on the effects of climate change on the Arctic. Some lawmakers in Congress, analysts, and even some government officials say the United States is lagging behind other nations, chief among them Russia, in preparing for the new environmental, economic and geopolitical realities facing the region. “We have been for some time clamoring about our nation’s lack of capacity to sustain any meaningful presence in the Arctic,” said Adm. Paul F. Zukunft, the Coast Guard’s commandant. 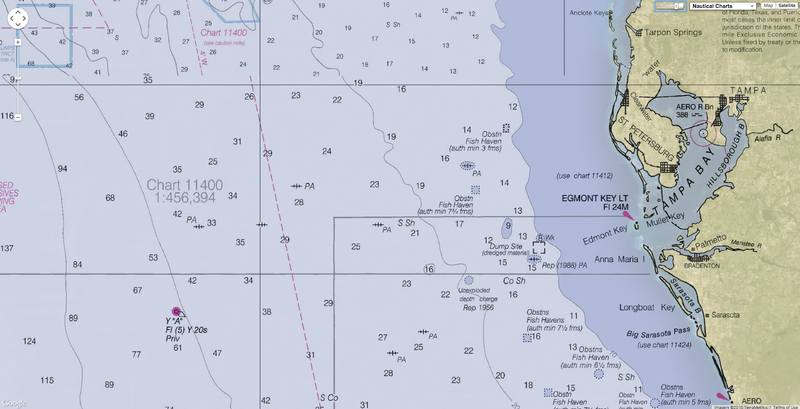 While the cutter patrolled one day this month, vessels began to appear one after another on radar as this ship cleared the western edge of Alaska and cruised north of the Arctic Circle. There were three tugs hauling giant barges to ExxonMobil’s onshore natural gasproject east of Prudhoe Bay. To the east, a flotilla of ships and rigs lingered at the spot where Royal Dutch Shell began drilling for oil this month. Not far away, across America’s maritime border, convoys of container ships and military vessels were traversing the route that Russia dreams of turning into a new Suez Canal. The cutter, a former Navy salvage vessel built nearly five decades ago, has amounted to the government’s only asset anywhere nearby to respond to an accident, oil spill or incursion into America’s territory or exclusive economic zone in the Arctic. To deal with the growing numbers of vessels sluicing north through the Bering Strait, the Coast Guard has had to divert ships like the Alex Haley from other core missions, like policing American fisheries and interdicting drugs. The service’s fleet is aging, especially the nation’s only two icebreakers. 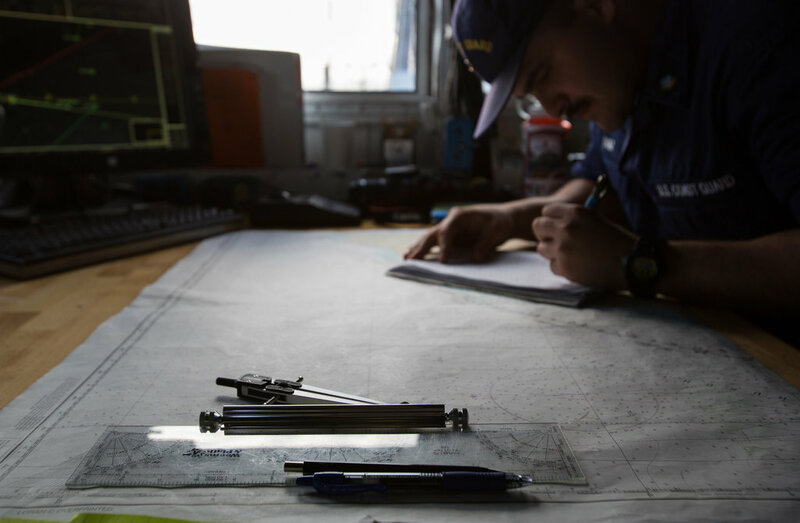 Underwater charting is paltry, while telecommunications remain sparse above the highest latitudes. Alaska’s far north lacks deepwater port facilities to support increased maritime activity. All these shortcomings require investments that political gridlock, budget constraints and bureaucracy have held up for years. 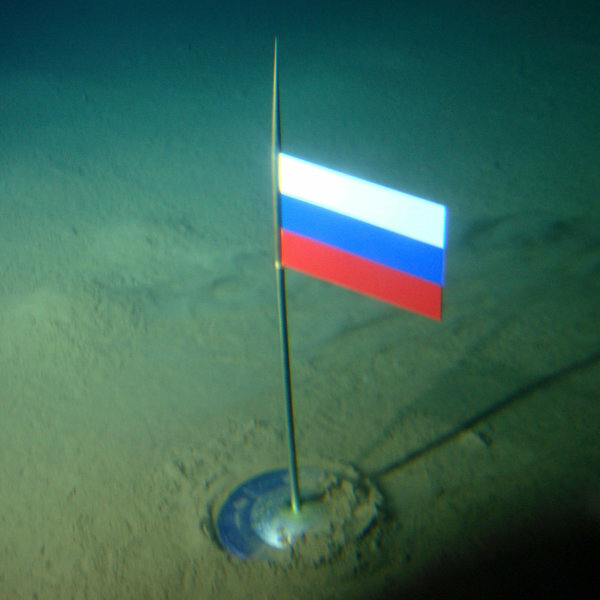 Russia planted a titanium flag on the Arctic seabed in 2007. Russia, by contrast, is building 10 new search-and-rescue stations, strung like a necklace of pearls at ports along half of the Arctic shoreline. More provocatively, it has also significantly increased its military presence, reopening bases abandoned after the collapse of the Soviet Union. 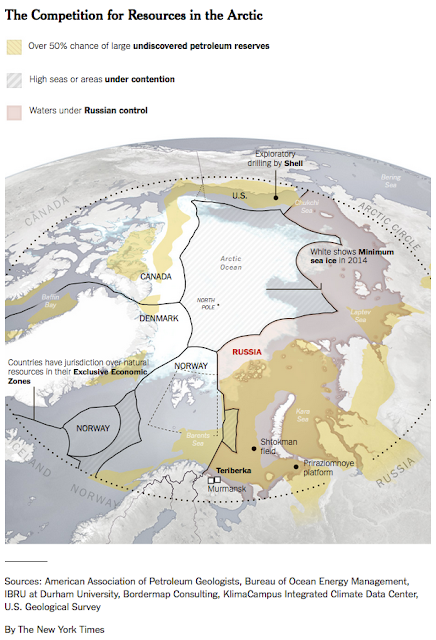 Russia is far from the only rival — or potential one — in the Arctic. China, South Korea and Singapore have increasingly explored the possibility that commercial cargo could be shipped to European markets across waters — outside Russia’s control — that scientists predict could, by 2030, be ice-free for much of the summer. In 2012, with great fanfare, China sent a refurbished icebreaker, the Xuelong, or Snow Dragon, across one such route. 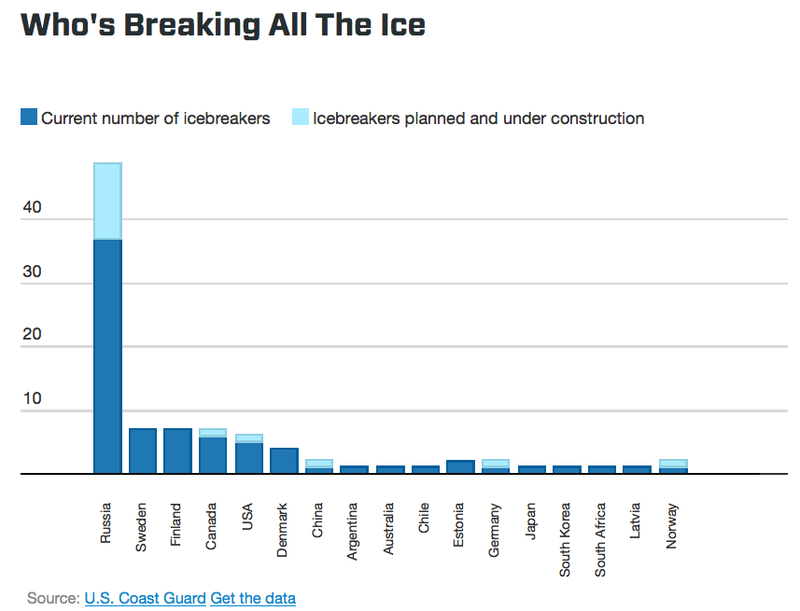 Signaling its ambitions to be a “polar expedition power,” China is now building a second icebreaker, giving it an icebreaking fleet equal to America’s. Russia, by far the largest Arctic nation, has 41 in all. “The United States really isn’t even in this game,” Admiral Zukunft said at a conference in Washington this year. He lamented the lack of urgency in Washington, contrasting it with the challenges of the Cold War, when the United States and the Soviet Union confronted each other in the Arctic and beyond. “The Arctic is one of our planet’s last great frontiers,” Mr. Obama declared when he introduced a national strategy for the region in May 2013. 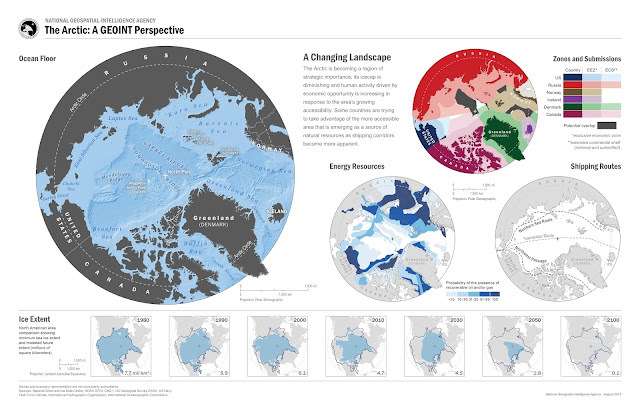 The strategy outlined the challenges and opportunities created by diminishing sea ice — from the harsh effects on wildlife and native residents to the accessibility of oil, gas and mineral deposits, estimated by the United States Geological Survey to include 13 percent of the world’s undiscovered oil and 30 percent of its natural gas. In January, the president created an Arctic Executive Steering Committee, led by the director of the White House’s Office of Science and Technology, John P. Holdren. The committee is trying to prioritize the demands for ships, equipment and personnel at a time of constrained budgets. Dr. Holdren said in an interview that administration officials were trying “to get our arms around matching the resources and the commitment we can bring to bear with the magnitude of the opportunities and the challenges” in the Arctic. What kind of frontier the Arctic will be — an ecological preserve or an economic engine, an area of international cooperation or confrontation — is now the question at the center of the unfolding geopolitical competition. An increasing divergence over the answer has deeply divided the United States and its allies on one side and Russia on the other. A Russian research team in the arctic evacuates the drifting scientific seasonal station 'North Pole' on August 8 in Murmansk region, Russia. After a Russian team placed their nations flag on the ocean floor beneath the north pole, many have feared arctic nations may soon start a land grab for territory and natural resources. Since returning to the Kremlin for a third term in 2012, President Vladimir V. Putin has sought to restore Russia’s pre-eminence in its northern reaches — economically and militarily — with zeal that a new report by the Center for Strategic and International Studies compared to the Soviet Union’s efforts to establish a “Red Arctic” in the 1930s. Decades of cooperation in the Arctic Council, which includes Russia, the United States and six other Arctic states, all but ended with Moscow’s annexation of Crimea in 2014 and the continuing war in eastern Ukraine. In March, Russia conducted an unannounced military exercise that was one of the largest ever in the far north. It involved 45,000 troops, as well as dozens of ships and submarines, including those in its strategic nuclear arsenal, from the Northern Fleet, based in Murmansk. The first of two new army brigades — each expected to grow to more than 3,600 soldiers — deployed to a military base only 30 miles from the Finnish border. The other will be deployed on the Yamal Peninsula, where many of Russia’s new investments in energy resources on shore are. Mr. Putin has pursued the buildup as if a 2013 protest by Greenpeace International at the site of Russia’s first offshore oil platform above the Arctic Circle was the vanguard of a more ominous invader. “Oil and gas production facilities, loading terminals and pipelines should be reliably protected from terrorists and other potential threats,” Mr. Putin said when detailing the military buildup last year. In Washington and other NATO capitals, Russia’s military moves are seen as provocative — and potentially destabilizing. In the wake of the conflict in Ukraine, Russia has intensified air patrols probing NATO’s borders, including in the Arctic. In February, Norwegian fighter jets intercepted six Russian aircraft off Norway’s northern tip. Similar Russian flights occurred last year off Alaska and in the Beaufort Sea, prompting American and Canadian jets to intercept them. Russia’s naval forces have also increased patrols, venturing farther into Arctic waters. Of particular concern, officials said, has been Russia’s deployment of air defenses in the far north, including surface-to-air missiles whose main purpose is to counter aerial incursions that only the United States or NATO members could conceivably carry out in the Arctic. “We see the Arctic as a global commons,” a senior Obama administration official said, speaking on the condition of anonymity to discuss matters of national security. Russia has also sought to assert its sovereignty in the Arctic through diplomacy. 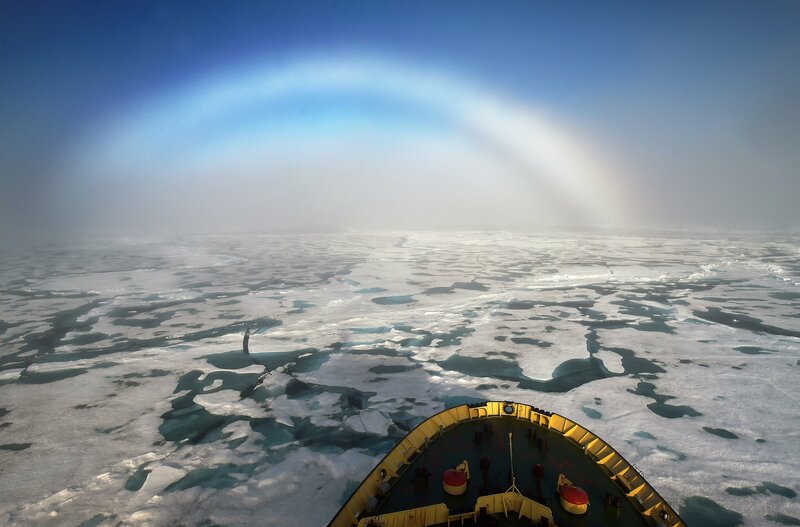 This month, Russia resubmitted a claim to the United Nations to a vast area of the Arctic Ocean — 463,000 square miles, about the size of South Africa — based on the geological extension of its continental shelf. The commission that reviews claims under the Convention on the Law of the Sea rejected a similar one filed in 2001, citing insufficient scientific evidence. But Russia, along with Canada and Denmark (through its administration of Greenland), have pressed ahead with competing stakes. Russia signaled its ambitions — symbolically at least — as early as 2007 when it sent two submersibles 14,000 feet down to seabed beneath the North Pole and planted a titanium Russian flag. Although the commission might not rule for years, Russia’s move underscored the priority the Kremlin has given to expanding its sovereignty. The United States, by contrast, has not even ratified the law of the sea treaty, leaving it on the sidelines of territorial jockeying. Some have questioned whether Russia, whose economy is sinking under the weight of sanctions and the falling price of oil, can sustain its efforts in the Arctic. “It is rather difficult to find rationale for this very pronounced priority in the allocation of increasingly scarce resources,” said Pavel K. Baev of the Peace Research Institute Oslo. “The only challenge to Russian exploitation of the Arctic came from Greenpeace,” he said. American commanders are watching warily. The United States and its NATO allies still have significant military forces — including missile defenses and plenty of air power — in the Arctic, but the Army is considering reducing its two brigades in Alaska. The Navy, which has no ice-capable warships, acknowledged in a report last year that it had little experience operating in the Arctic Ocean, notwithstanding decades of submarine operations during the Cold War. While it saw little need for new assets immediately, it predicted that could change. Adm. William E. Gortney, head of the Pentagon’s Northern Command and North American Aerospace Defense Command, said that Russia was increasing its capabilities after years of neglect but did not represent a meaningful threat, yet. “We’re seeing activity in the Arctic, but it hasn’t manifested in significant change at this point,” he said in a recent interview. 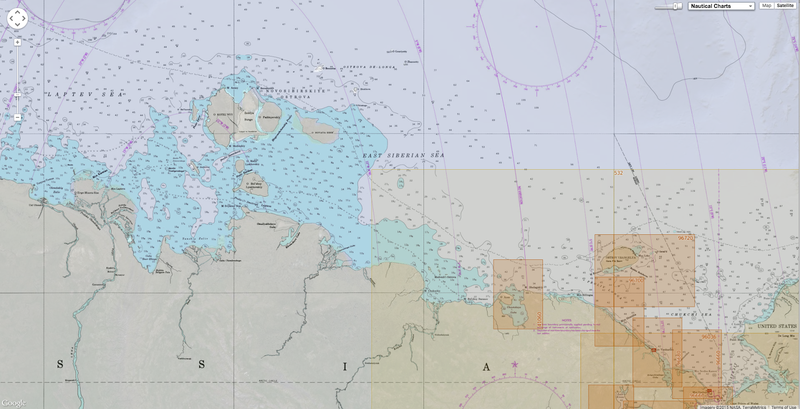 Despite concerns over the military buildup, others said that some of Russia’s moves were benign efforts to ensure the safety of ships on its Northern Sea Route, which could slash the time it takes to ship goods from Asia to Europe. Russia had pledged to take those steps as an Arctic Council member. “Some of the things I see them doing — in terms of building up bases, telecommunications, search and rescue capabilities — are things I wish the United States was doing as well,” said Robert J. Papp Jr., a retired admiral and former commandant of the Coast Guard. He is now the State Department’s senior envoy on Arctic issues. Aboard the Alex Haley, the crew made contact with each of the ships it encountered plowing the waters, recording details of the owners, courses and the number of crew members who might need to be plucked from the sea in case of disaster. The cutter’s captain, Cmdr. Seth J. Denning, was a young ensign when he first crossed the Arctic Circle just north of the Bering Strait 19 years ago. What had been a brief excursion for Ensign Denning when the Arctic was choked with ice has now become routine. The Alex Haley — named after the author of “Roots,” who was a 20-year Coast Guard veteran — is one of five ships that the Coast Guard is deploying to the Arctic from June to October. It will be replaced by an advanced cutter, the Waesche, based in Alameda, Calif. The Coast Guard has also stationed two rescue helicopters at the airport at Deadhorse, the town where the Trans-Alaska Pipeline begins. The deployments are part of an annual summer surge that was started in 2012 when Shell first explored the oil fields off Alaska’s North Slope. The challenges of the new mission have been exacting, given the vast distances and limited support infrastructure on land. For several days this month the Alex Haley’s only helicopter, which operates from a retractable hangar on the ship’s aft was out of service, awaiting a spare part that had to be flown in on several hops from North Carolina. This year’s deployments are intended to assess the requirements for operating in the Arctic, but the expected increase in human activity there will put new demands on the service. “As a maritime nation, we have responsibility for the safety and security of the people who are going to be using that ocean,” said Mr. Papp. Last week, the nation focused its attention on the 10-year anniversary of Hurricane Katrina, the most destructive hurricane in U.S. history. As bad as the storm was, though, it wasn’t the worst storm that could have possibly hit New Orleans. That’s true of many, many other places, too. And now, in a new study in Nature Climate Change, Princeton’s Ning Lin and MIT’s Kerry Emanuel demonstrate that when it comes to three global cities in particular — Tampa, Fla., Cairns, Australia, and Dubai, United Arab Emirates — there could come a storm that is much worse than anything in recent memory (or in any memory). Granted, these theoretical storms are also highly unlikely to occur — in some cases, they are 1-in-10,000-year events, or even rarer. The researchers refer to these possible storms as “gray swans,” riffing on the concept of a “black swan” event, an unpredictable catastrophe, or highly impactful event. A “gray swan,” by contrast, can indeed be predicted, even if it is extremely rare. The purpose of the study is “to raise awareness of what a very low probability, very high impact hurricane event might look like,” said Emanuel. The gray swan storms were generated by a computer model that “coupled” together, in the researchers’ parlance, a very high-resolution hurricane model with a global climate model. That allowed the researchers to populate the simulated world with oodles of different storms. “When you do hundreds and hundreds of thousands of events, you’re going to see hurricanes that are unlike anything you’ve seen in history,” said Emanuel, a key theoretician behind the equations determining the “maximum potential intensity” of a hurricane in a given climate. Indeed, he has published in the past that a theoretical “hypercane” with winds approaching 500 miles per hour is possible in scenarios where an asteroid hits the Earth and radically heats up ocean waters, far beyond their normal temperature. So what did the researchers see? Let’s take Tampa Bay, first. It hasn’t been hit by a major hurricane since 1921 — but that storm drove a 3- to 3.5-meter (10- to 11-foot) storm surge and caused dramatic damage. Earlier, in 1848, another storm produced a 4.6-meter surge (about 15 feet). Why is Tampa Bay so vulnerable? 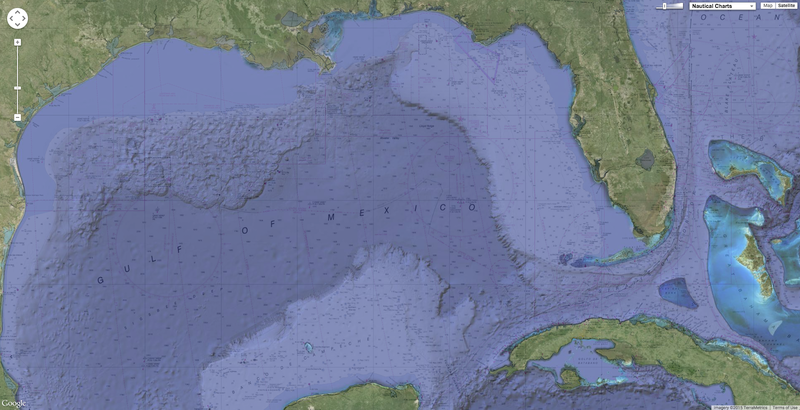 Check out any good map that shows the water depth (the bathymetry) around the Florida peninsula. It’s deep off the east coast. 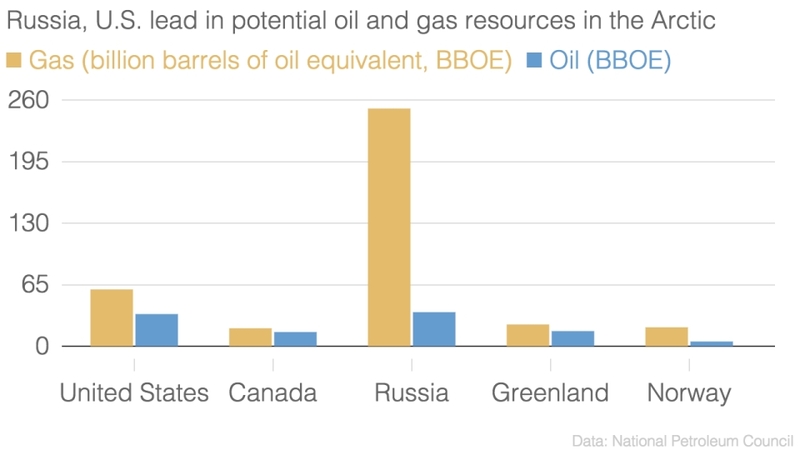 But there’s an extraordinarily broad continental shelf off the west coast. And although the city of Tampa, proper, sits at the head of Tampa Bay, relatively far from the mouth and well removed from the barrier islands that get battered by the waves from the Gulf of Mexico, that’s a more vulnerable spot than you’d think. “One can get much larger surges where the offshore waters are shallow, as is true along the west, but not the east coast of Florida. Also, surges can amplify by being funneled into bays,” Emanuel said Monday in an e-mail. The new method allows the researchers to show that a worse storm than these historical examples is possible, especially with sea level rise and global warming. They simulated 2,100 possible Tampa Bay hurricanes in the current climate, and then 3,100 each for three time periods (2006 through 2036, 2037 through 2067, and 2068 through 2098) in an unchecked global warming scenario. In the current climate, the study found that a 5.9-meter (19-foot) storm surge is possible, in a strong Category 3 hurricane following a similar track to Tampa’s classic 1921 and 1848 storms. Moreover, in a late 21st century climate with global warming run amok, the worst-case scenario generated by the model included a very different storm track, moving north along Florida’s Gulf Coast and then swerving inland at Tampa, that generated an 11.1-meter (nearly 37-foot) surge. Granted, the study said that these two “gray swans” are exceedingly unlikely — less than 1 in 10,000 years for the 5.9-meter surge in the current climate. But it also said that global warming shifts the odds toward the worse surges. “The more publicity of the hurricane risk in Tampa, the better,” Emanuel said. The study also shows that for Cairns, Australia, a 5.7-meter (18-foot) storm surge is possible in the current climate, but that would happen less than once in 10,000 years. And perhaps most strikingly, it also suggests that an extremely powerful hurricane is theoretically possible where we’ve never yet seen them occur — the Persian Gulf. The waters in the Persian Gulf are very hot and so contain considerable potential hurricane energy, but the atmosphere is normally too dry for hurricanes, Emanuel explained. Nonetheless, “physics says that you can have one,” he said. Indeed, there have been several hurricanes or tropical storms that have entered the Arabian Sea, though none have made it into the Persian Gulf. But the study showed that in extraordinarily rare circumstances, it’s also possible for a hurricane to be generated there. Indeed, it found that with 3,100 simulated events in today’s climate, it is theoretically possible to get a hurricane with winds of over 250 miles per hour — stronger than anything we’ve seen on Earth — and a storm surge of 7.4 meters (24 feet) affecting Dubai. Granted, it is hard to emphasize enough that this is a rare phenomenon — storms like this have “return periods of the order of 30,000–200,000 years,” the study said. So, is all of this just a mathematical exercise — or something more? In the end, it’s kind of in the eye of the beholder, as it’s up to us to decide how much to worry, if at all, about an extraordinarily rare event. But you could make the case that a study like this helps us think a lot better about what risk is all about. “You go out on the tail, the risk gets tinier and tinier and tinier, but the consequences of that event get exponentially larger,” Emanuel said. About 90% of seabirds have eaten plastic and are likely to retain some in their gut, a new analysis estimates. The study concludes that matters will only get worse until action is taken to stem the flow of waste to the oceans. 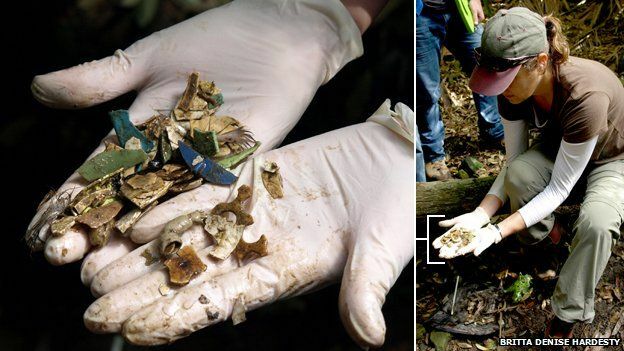 Researcher Erik Van Sebille says the oceans are now filled with plastic and it is "virtually certain" that any dead seabird found in 2050 "will have a bit of plastic in its stomach". Dr Van Sebille and his colleagues report their work in the journal PNAS. On one level, the analysis is shocking, but on another, its findings seem depressingly familiar. Numerous studies have now catalogued the rising mass of plastic debris being dumped, blown or simply washed out to sea; and it is having a deleterious impact on the marine environment. To the foraging bird, a discarded plastic cigarette lighter or a shiny bottle top can look like a fish. If ingested, this litter may simply stay in the gut, unable to pass through, putting the animal's health at risk. As more and more plastic waste finds its way into the oceans - about eight million tonnes a year in one recent estimate - so the hazards to wildlife increase. Midway Island is an uninhabited island about 2000 km from any other coast line. It lies roughly equidistant between North America and Asia, and almost halfway around the world from England. In their PNAS paper, the Australian and UK scientists reviewed decades of peer-reviewed literature to trace the evolution of seabirds' exposure to plastic debris. Back in 1960, the data showed that maybe fewer than 5% of birds would be found with waste fragments in their stomach. Today, this figure is roughly 90%. 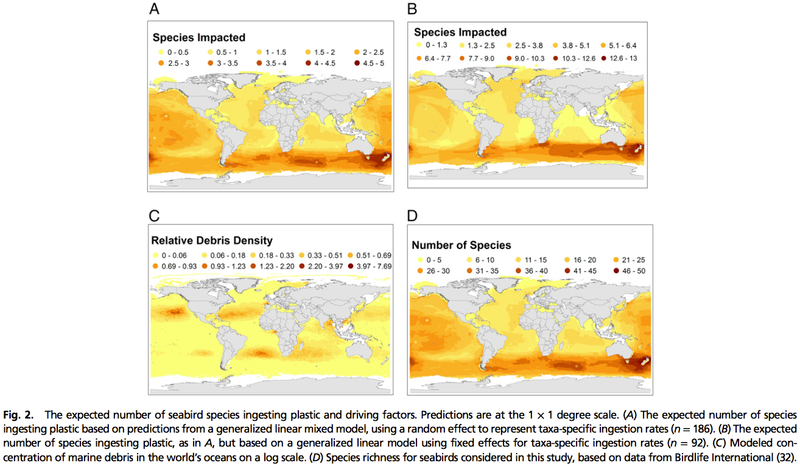 And, on current trends, by 2050, the team predicts that plastic ingestion will touch 99% of the world's seabird species, with nearly every individual affected. "Plastic in seabirds is ubiquitous, and it's increasing," study leader Chris Wilcox from CSIRO, Australia's federal research agency, told BBC News. To get to its 2050 extrapolation, the team had to understand the hotspots of risk, by overlaying the known foraging behaviour of the world's 400 or so seabird species on to the known distribution of plastic waste at sea. This approach demonstrated that the regions of highest risk are not where most floating plastic congregates, which is in the centres of the great ocean gyres, sometimes dubbed "garbage patches" or "islands" for the way the debris just goes round and round. Rather, the zones of highest concern are where most seabirds are found, which is in a band in the Southern Ocean, near Australia, South Africa and South America. Once thought of as having pristine waters, this region is now sufficiently polluted to ensure a great array of species encounters some waste. "A pristine ocean doesn't exist anymore," said Dr Van Sebille, who is affiliated to Imperial College London. "Every ocean is now filled with plastic. Some have more than others, but what we found is that even the oceans that are not known for their plastic - they still have quite a bit of plastic and they can be where the harm is really done just because that's where all the birds live." Another key finding from the research is that the problem really is solvable. If only the stream of plastic waste getting into the oceans can be shut off, then seabirds have the capacity to recover quite quickly. Dr Wilcox explained: "Because exposure to plastic turns out to be a strong predictor of how much plastic the birds have in them; that is, the more plastic they're exposed to, the more they ingest - this implies that if we reduce the amount of plastic going into the oceans, you would expect all these species to essentially respond. "And this makes this problem different from something like climate change. It ought to be relatively easy to fix." Jenna Jambeck from the University of Georgia, US, is an expert on plastic waste issues. 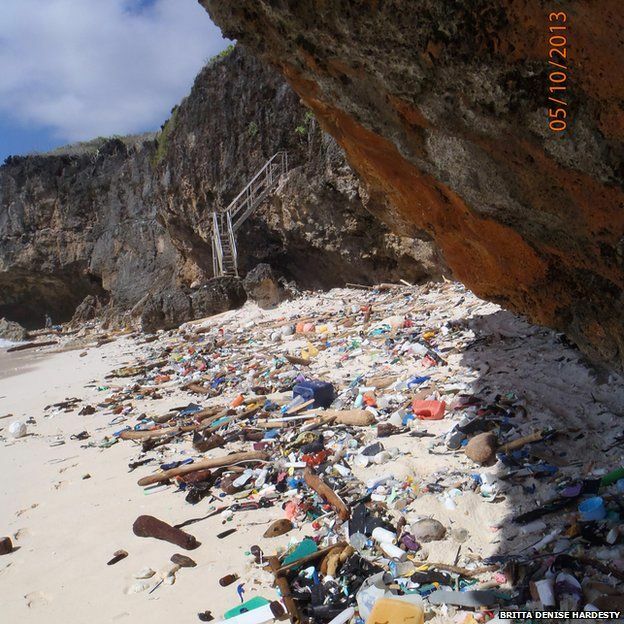 She was not involved in the study but said it had eloquently made the link between solid waste management practices on land, the plastic input into the oceans, and the impacts being felt by seabirds globally. "It illustrates that if we implement solutions to reduce plastic input into the oceans, we can reduce impacts to individual seabirds. "Solutions include improving solid waste management where it is lacking, and also working upstream on product redesign and materials substitution moving towards a more circular system," she told BBC News. 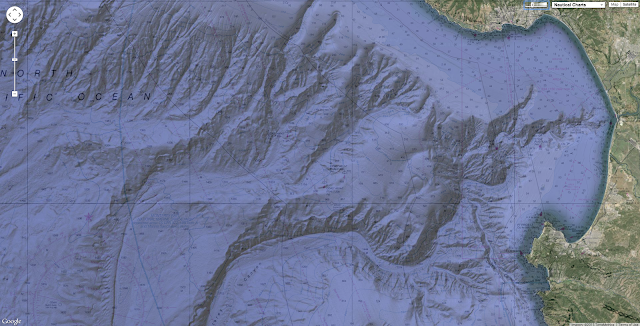 The canyon head lies just offshore of Moss Landing on the Central California coast. From there, the main channel meanders over 400 kilometers seaward to a depth of more than 4,000 meters on the abyssal plain. Repeated mapping in certain areas of the canyon have shown that the terrain changes substantially every few months due to large sediment-transport events involving both debris flows and turbidity currents. If the water drained from Monterey Bay, the newly revealed terrain would be stunning, with cliffs, gorges, valleys, and spires matching the scenery found in some of our most beautiful national parks. Sonar has long been used to map the seafloor, usually with equipment mounted on a ship's hull. The ship travels back and forth, sending sound waves toward the ocean floor. When the sound waves hit the bottom, they bounce back to the surface, where the sonar receivers use the returned signals to indicate the depths of the seafloor. Modern multibeam sonars use numerous narrow beams covering wide swaths of the seafloor to create maps like the bathymetric map shown here. 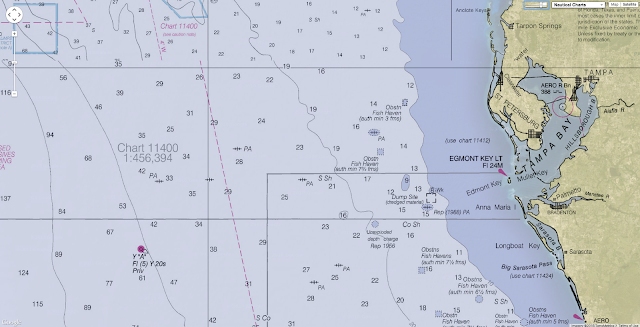 The more detailed maps overlaid on the base map were created with the Monterey Bay Aquarium Research Institute's mapping autonomous underwater vehicle (AUV). Although the AUV uses the same technology, it flies closer to the bottom, allowing higher resolution maps to be made. The AUV bathymetric maps show details as small as one meter (three feet) across, and are among the most detailed maps ever made of the deep seafloor. Researchers use the detailed maps to understand seafloor morphology and the movement of sediment within submarine canyons. Cross-sections of the Monterey Canyon (left) and Grand Canyon (right) shown at the same scale demonstrate that these features are similar in size and shape. Both canyons are conduits through which massive volumes of sediment move. While water flowing in the Colorado River carved the Grand Canyon, a directly analogous process is not known to have occurred within Monterey Canyon. Monterey Canyon and the waters above it provide a wide array of habitats, from rocky outcrops and the soft seafloor to the dark midwater, where there is little or no sign of light from above nor of the seafloor below. MBARI researchers often encounter rarely seen biological communities, observe novel behaviors of deep-sea organisms, and discover new species in the deep sea. Launched on 7 August in Vannes, after an eleven-month build at the Multiplast yard, le Mono60 Edmond de Rothschild was able to put in her first tacks just ten days later offshore of the team’s base in Lorient. However, on Monday of this week, thanks to a boisterous low off the north-west tip of Brittany, Sébastien Josse and Charles Caudrelier (his co-skipper for the Transat Jacques Vabre) opted to trial the machine in some blustery conditions. It proved to be a rather bracing sail which cameraman Christophe Castagne captured in full for Gitana Team.